Recently the Australian crane safety watchdog, CraneSafe celebrated its 10th year in existence. The program emerged in Victoria where there was initially an inspection program by WorkSafe. Eventually that was discontinued and CraneSafe emerged to fill the gap and to deal with the upsurge of used cranes coming into Australia. One cannot overstate the importance of ensuring that safety regulations are met when operating a crane or hoist. Regulatory bodies will inspect whether or not cranes any changes or modifications have been made to the cranes. Constant maintenance and inspection programs should consistently be used. The cranes should be is moderately good condition for use, and ladders and other access points must be safe for consistent maintenance. Furthermore, a sufficient amount of records should be kept pertaining to maintenance, inspection and testing that the machine has undergone. 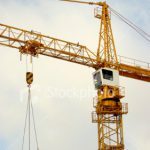 Crane operators are required under the Occupational Safety and Health Regulations bill to ensure that good records are kept. This can ensure that Working At Heights safety standards are being met and that duties are complied with. It is the responsibility of the person in charge of the work site to ensure that these measures are undertaken. Moving exceptionally heavy, large loads is essential to manufacturing and construction industries. Now there are significant safety standards that one must ensure in order to avoid any hazards. It is important to note that there are a variety of types of cranes and all of them have specific safety measures one must undertake. Two of these types include (but not limited to) mobile cranes and Tower cranes. Mobile cranes are mounted onto rubber tires which enable them to be transported throughout various job sites. Some designs have tracks which are similar to those found on tanks. These tracks enable the crane to be mobile. In fact mobile cranes can even move while holding a load, as opposed to other cranes which must remain stationary. Mobile cranes can be transported via helicopters, truck beds or even boats for use at sea. Often used for the construction of high-rise buildings. This crane is strictly stationary since it has a bolted on base connected to concrete pads. Another serious risk is electrocution. The frequency in which an operator works in close proximity to power lines can prove fatal. Insulated barriers are an important step to avoid electrocution. Operators must always ensure that there crane is in a safe distance from electricity sources or high voltage lines.